Antiseptic, antibacterial and clearing. 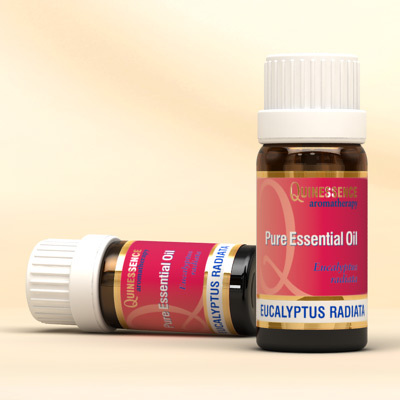 Due to the natural chemistry of Eucalyptus Radiata Essential Oil, its fragrance is not as harsh as its close relation Eucalyptus globulus, yet it still offers the same wide range of beneficial therapeutic properties in aromatherapy. Many aromatherapists prefer to use this variety of Eucalyptus because of its therapeutic power plus its softer, more herbaceous odour. Due to its lower cineol content, the essential oil from this species of Eucalyptus doesn’t trigger the cough reflex as easily as E. globulus, making it better suited for inhaling - especially with young children. Eucalyptus Radiata Oil has a decongestant action that loosens phlegm and unblocks sinuses gently and effectively. Eucalyptus Radiata Essential Oil can be used in massage blends for muscular fatigue, stiff joints, general aches and pains, and as a pre or post sports rub. It has a powerful antibacterial, antifungal and anti-infectious action, which makes it extremely useful for defending against all types of infection.